​HEAR is excited to offer a co-op program in the Fall! 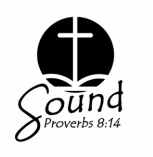 SOUND begins after Labor Day and offers HEAR members weekly classes. Please submit the online form if you're ready to commit to the 2018-2019 co-op year. Current HEAR Members: Go to the Members Page and Click on Sound under Events. Potential HEAR Members: Please email the soundcoop814@gmail.com. Those participating in the co-op must be HEAR members in the year they're enrolled in co-op, therefore must agree to the HEAR Code of Conduct and Statement of Purpose & Belief. Please read both before requesting to enroll. SOUND is a program created by and for HEAR members. To participate in SOUND, you must be an active HEAR member (current year). All children from birth to age 18 can participate in our program if classes are offered for their age. A family is only allowed to register their own homeschooled children and/or foster children. ​Late enrollments are not accepted. Forms must be received by the deadline stated above. You must teach a class in order to be eligible to participate in the program. The class must be a structured class with a curriculum. Each parent may choose the curriculum and age group she or he will teach. Because of this, the classes offered are determined by those participating in the program. Classes will be the same for the duration of the year. There is nursery provided, but parents are also welcome to keep their young ones with them in their classroom. The administration committee does not know what classes will be offered until all forms are collected during the enrollment period. The committee does not dictate which courses must be taught. It is completely based on the participants of the co-op. If you want your child to have certain course, it is recommended that you teach that course or you talk with other participants to see if another parent will teach the course. Classes will be Monday mornings at Antioch Baptist Church. Co-op classes are held from September through May with breaks for holidays. Midyear enrollments are not accepted. Classes are on Monday mornings starting at 9:30 and end at 11:45. There are two "periods" during this time. So each student selects two classes. Currently, there are two periods or class times. The first class starts promptly at 9:30 and concludes at 10:30. There is a fifteen minute break to allow students to get to their next class, eat a snack (provided by parents), and visit the restrooms. The second class starts at 10:45 and concludes at 11:45. All teachers are asked to clean-up the classroom and be out of the rooms by noon. Families may stay for a picnic lunch and play outside after co-op. We ask that families participate in both hours, the entire co-op time. A parent must stay on premises for the entire time - no dropping children off. The parent must teach one of the two hours (one class, one hour). Of course, you may teach both hours or volunteer to assist in another classroom the other hour. Parents often meet in an unused room to fellowship. You may also use the hour to work on your lesson plans or such in an unused room. The facility charges an annual fee of $500. This will be distributed equally across each participating family. For example, if 25 families enroll, there will be a one time fee of $25 per family due in September. In addition to the facility fee, each family is responsible for purchasing curriculum and supplies for their children. The last day to enroll will be May 5th. Late enrollments/mid year enrollments are not accepted, so be sure to enroll during the registration period. This year enrollment form will be online. Current HEAR members may enroll by going to our Members Page and clicking on the link to Sound. ​New to HEAR? You may also enroll. Email us at soundcoop814@gmail.com. Please carefully read our HEAR Statement of Purpose & Belief and the HEAR Code of Conduct before requesting to enroll. Join HEAR today so you'll receive the registration period announcement! Step-One Registration: Those who are committed to participating in SOUND will complete an enrollment form during the enrollment period for the upcoming year. You must indicate on the form what class(es) you will be teaching. All participants must teach without exception. We ask that you select a co-teacher as well. Please provide as much information as possible, especially if you know what subject and curriculum you will be using. You may also indicate on the form what you prefer to teach, including grades, subjects, and curricula. For those new to HEAR or the SOUND co-op, you may indicate that you're looking for a co-teacher. The administration committee for the co-op will place you with another member who is looking for a co-teacher. Step-Two Enrollment: The administration committee will create a schedule of classes offered using the information provided in step-one. This takes a considerable amount of time and effort, so please allow approximately one month for this schedule to be completed and distributed. Students will select a first and second selection for each hour of classes. The administration committee will place students in the classes accordingly. The committee will make every attempt to put students in their first choice if at all possible. This may not always be possible. Please be considerate of the time and effort made by the administration and understand that they will do all they can to see to it all requests are accommodated, but at times, it may not be possible to do so. Not receiving first choice is not a reason to not participate in the co-op. Submitting an enrollment form in step-one is solid commitment to participating in the co-op. Do I have to teach? Yes. All families participating must teach at least one class/nursery. It is each participating parent's decision as to what curriculum he/she would like to teach and to what age/grade. The first form, registration form, asks that you notify us such. If you are unsure, you may email us and we will gladly pair you with a parent looking for a co-teacher or make suggestions. Our most popular courses in 2014-2015 are art, foreign langue and sign language. There are many great curricula with hands-on opportunities, such as Mystery of History, Story of the World, Answers in Genesis, and Apologia. We do require that the course you lead be a hands-on class with activities. Parents are committing their time and effort to this program. We respectively ask you give this your all so it will be a rewarding experience. Classes should be engaging, hands-on, and utilize the group setting. It is in no way suppose to look like traditional school, so don't be bound by the idea of desks and chairs. Do I supply the curricula for each student in my class? No, not for each student. Each parent is responsible for purchasing the curricula required for co-op for his/her student(s). You may need to purchase, or ask parents to supply items, for in-class activities. As the teacher, you would work this out directly with the parents participating in your class. You will be responsible for purchasing the leadership/teaching materials. What is a co-teacher? May I just be an assistant? A co-op requires a firm commitment in order for all to benefit. We are often asked by those interested if she/he can be an assistant, serve in the nursery, or not teach. This program cannot exist without all actively teaching. We ask that each class have two teachers. Each teacher in the class should be able to fill in for one another with a moment's notice. You will work out the teaching arrangements with one another. One of you may be the lead or you may rotate teaching. The planning committee does not determine that, the two adults coordinating teaching the course do. If you are willing to co-teach or need a co-teacher, please denote that on your form and we will help you find a partner for the year. We will not know what classes are offered until all those who interested in participating submit their paperwork. Classes offered are completely dependent upon what each parent participating in the co-op teaches. See "How It Works" above. May I enroll initially, since I'm interested, but then drop out if I don't see the classes my student wants? We ask that you only submit an enrollment if you are completely committed to participating. If you want to see a specific class offered, you should lead that class or coordinate with others to lead the class. Deciding not to participate after submitting a form will require the planning committee to rework the entire course schedule and students assigned to each class. Parents would also have to reselect courses for their students. Parents who withdraw last minute may not be considered for future enrollment in the co-op. What about my little one? There is a nursery for both hours of the program. The nursery is for children who are not yet ready for the preschool class(es). Parents may also keep little ones with them in their own class. We have many moms in the program with toddlers and/or infants.